This is a guest post written by Vee Nguyen. Oceanside (or “Oside,” as we locals lovingly call it) is one of the last beach towns in Southern California that remains inclusive and accessible residents and visitors alike. The neighborhood is changing, but managing to maintain its traditional eccentricity. As an Oside resident, I’m excited to be part of a community that believes in maintaining its history while progressing toward change. Microbreweries have started to make their way to Oside; hip and trendy restaurants are flourishing while locally owned eateries continue to prosper in their historic establishments. When Cassie invited me to write a guest post offering up my favorite things to do in Oceanside, I was honored and excited, but nervous. There are so many great things to share about my beloved city, I don’t want to accidentally leave anything out. 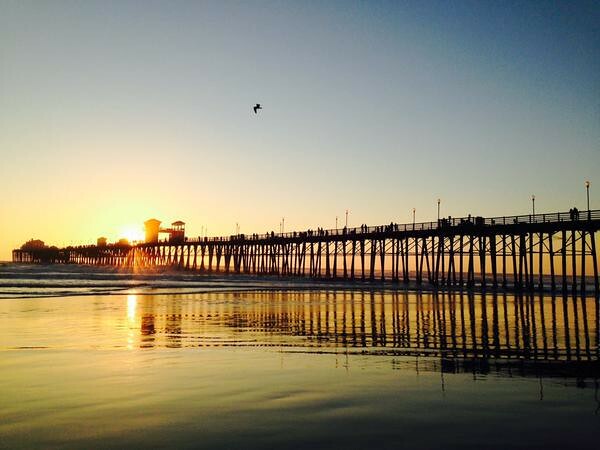 Alas, here’s my version of a perfect day and some of my favorite things to do in Oceanside, CA. Succulent Cafe is an Oceanside institution. It is an adorable coffee cart housed in a beautiful succulent garden. 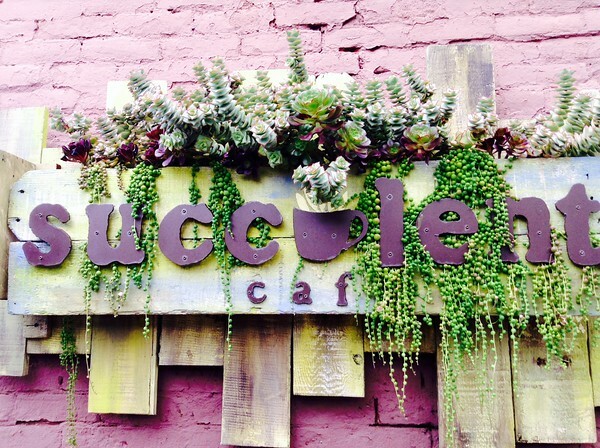 The owner and designer of the cafe is an artist who loves succulents just as much as he loves Oceanside. He’s often on location and loves to chat with people about the inspirations of Succulent Cafe. If you drive, the parking lot directly in front of Succulent Cafe is FREE and good for 4 hours. Grab another cup of coffee to go, and walk toward the Pier. 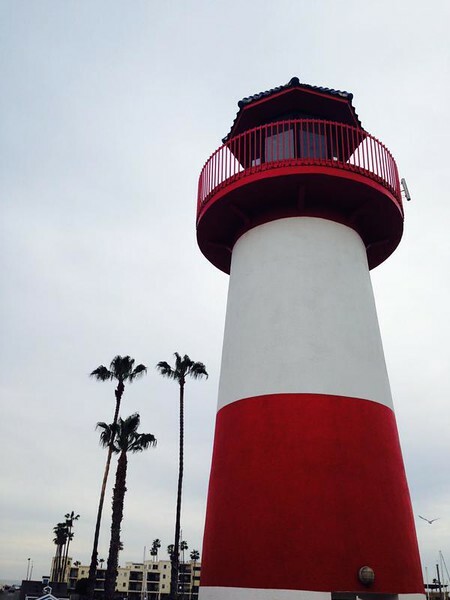 The Oceanside Pier is rich in history. It was the longest wooden pier on the West Coast when it was first built. 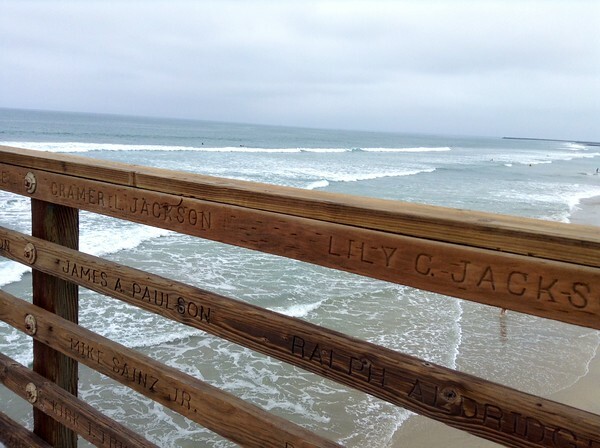 On the side of the wooden rails, look out for names of the residents who donated money toward the effort of rebuilding the Pier in the 1980’s. Dolphins and sea lions often make their appearances nearby, so keep your eyes peeled. Our marine friends love to give their audience a beautiful show. Once you have strolled the Pier, make a descent down onto the Strand. It is one of the few strands left that allows cars to slowly cruise through. There’s a local tradition to cruise the Strand and give thanks to the Ocean after time away from Oside. If surfing and hanging out at the beach is your thing, stay a little longer. In fact, stay all day. Oceanside is famous for its glorious waves; surfers love it here. Want to dabble in riding these waves? Rusty Whitlock Surf Experience provides friendly and affordable surf lessons. If you have successfully convinced yourself to leave the warm sand, head north on the beach toward the Oceanside Harbor. The Strand ends at Breakwater Way, so you can continue on the sand or follow the turn of the road to Pacific Street, which will lead you to the Harbor. Oceanside Harbor is unique in that it has a different personality than that of the Pier. While the Pier attracts a wide variety of people, the Harbor is where the residents hang out. The Harbor has two jetties which help calm down the water for swimmers and surfers. In the spring summer months, you can catch local surf contests here. There’s also a FREE parking lot across from Joe’s Crab Shack. Just look out for the tiny tunnel. The Harbor has several options for lunch, but most restaurants are chain restaurants like Joe’s Crab Shack and Rockin’ Baja. 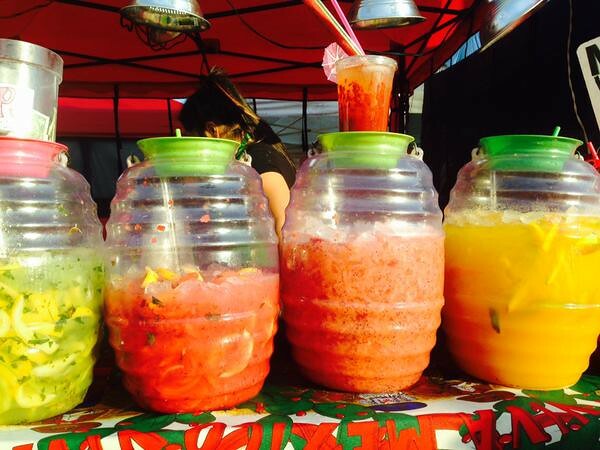 For a more local taste, head back toward Downtown area on the historic Coast Highway toward Oceanside Blvd. There’s a new modern and hip Chinese restaurant called Blvd Chinese Kitchen. The menu is small but the dishes are amazing. Plus, the industrial decor is to die for. 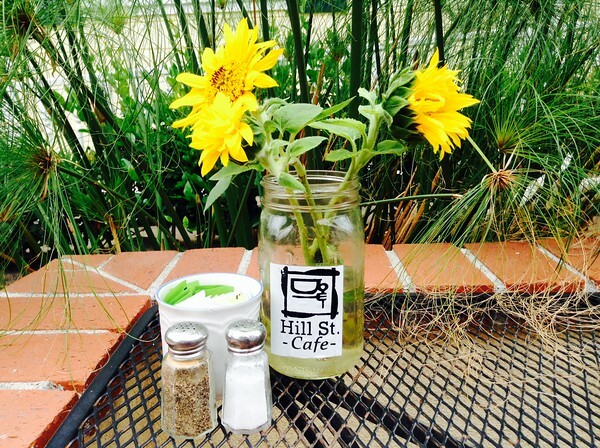 If Chinese food is not what you are craving, Hill Street Cafe is a healthy alternative. Hill Street Cafe has a huge variety of vegetarian, vegan, or meat options. For a more fine dining, farm-to-table option, Flying Pig, located behind Cafe 101, is my favorite restaurant in Oside. Half a block from Flying Pig is Bagby Beer Company. It was recently voted one of the best breweries in San Diego County (Cassie’s note: that’s saying something!) Two blocks north is Local Taphouse; it has fewer beer offerings than Bagby, but the food is amazing. Try the hummus, it’s a delicious surprise! And if you are like me, rare teas and kombucha offers a better buzz, don’t fret! 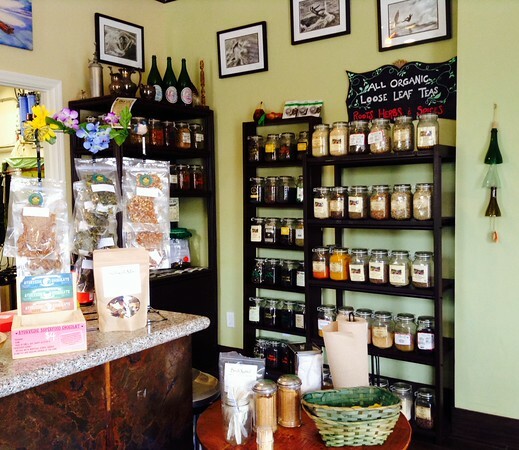 On the same corner as Flying Pig on Wisconsin Ave, Living Tea is a cute tea boutique sells rare tea and kombucha. Or perhaps, you need a combination of tea and coffee, walk on Wisconsin Ave toward the train track to The Cup. It is a tiny, yet romantic place that sits one and a half blocks from the beach and next to the train tracks. 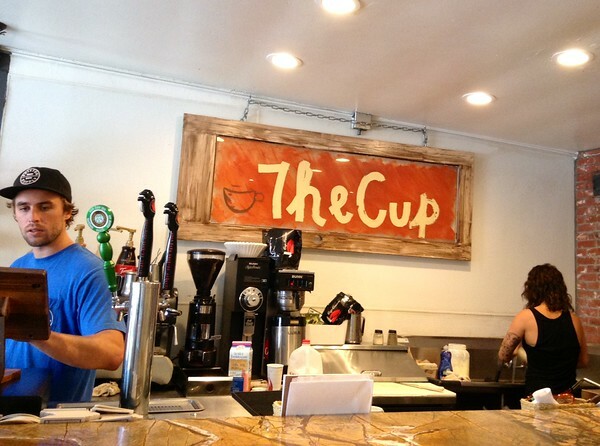 Most of The Cup’s patrons are local surfers and artists. I love to come here for a cup of joe and write. Sometimes, I walk across the street to the 7-Eleven that is owned by an Eritrean lady who makes fresh Eritrean dishes for sale. Now that your belly is full, let’s learn a little bit of local history. From The Cup, turn right on Pacific Street. On the corner of Pacific and 1st, you will notice a yellow Victorian house. It is lovingly called “The Top Gun House“. In the movie Top Gun, Tom Cruise picked Charlie up on his motorcycle in front of this famous abode. Oceanside Historical Society is trying to preserve it for future generations. Keep on walking north on Pacific, then turn right on Pier View Way. You will walk through a beautiful walkway where local skaters frequent. It dips under a little bit, so enjoy the mosaic art along the way. On Thursdays, as soon as you leave the walkway, you will be greeted with Oceanside Sunset Market, featuring live music and an international food court. It is a perfect place to meet up with friends or take a date. On other days, check out the California Surf Museum to learn about surf history. Besides a comprehensive history of surfing, CSM sells vintage postcards for those looking to grab a unique souvenir. If you are up for a drive down on Mission Ave toward Old Mission San Luis Rey, you will be in for another historic treat. It is a working Franciscan mission that gives tour to the public. There’s no better way to end the day than to watch the sunset while sipping on your favorite beverage. 333 Pacific is a fine-dining restaurant situated on Pacific Street, directly facing the Oceanside Pier, where the best sunsets occur. For a direct view, walk out to the end of the Pier to Ruby’s and enjoy a classic diner burger and milkshake while the sun goes down. For a budget option, grab a picnic basket and enjoy the sunset on the sand. Daring surfers also come out in the evening to catch the waves while soaking in the rays. Their silhouettes in the water add a nice touch to your sunset photos. Do you want to share a post about one perfect day in your hometown? I’d love to feature it here on EIT — let’s talk! Thanks for sharing. I am heading to San Diego in a few weeks and while I will be downtown most of the time I have one night to stay somewhere else. Will be looking into Oceanside. Would love any recommendations on where to stay. Springhill Suite (Marriott) is another option. It sits on top of a cool restaurant called “Hello Betty” and a block from the beach. Awesome–thanks for sharing these tips, Vee! Have a great trip, Megan! Great Post!! that sounds like a perfect day to me 🙂 it sounds like is a place that you can relax and at the same time have fun. Haha, that’s what I felt like when Vee sent me the article 🙂 Thanks for your comment, Shawna!